In a wok heat oil over medium heat and add Cumin seeds and let it crackle for a minute. Add finely chopped onion and hing. Sauté for another ther minute add crushed garlic and cook for 2 minutes l.
Add all dry spices and roast them for a minute then add chopped tomato and let it cook for another 2-3 minutes. 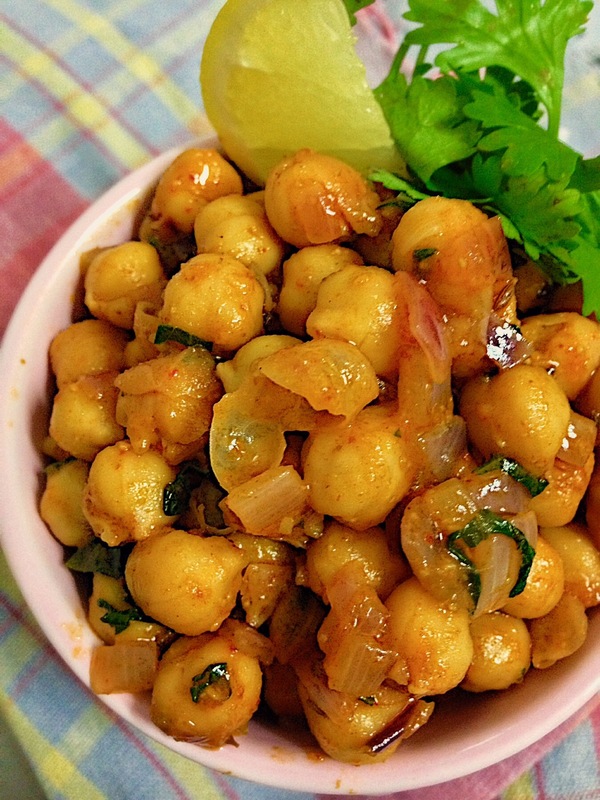 Add boiled chickpeas and stir well an then add hot sauce sauce, chili garlic sauce and achar masala and mix well. If required add 1/4 cup water. 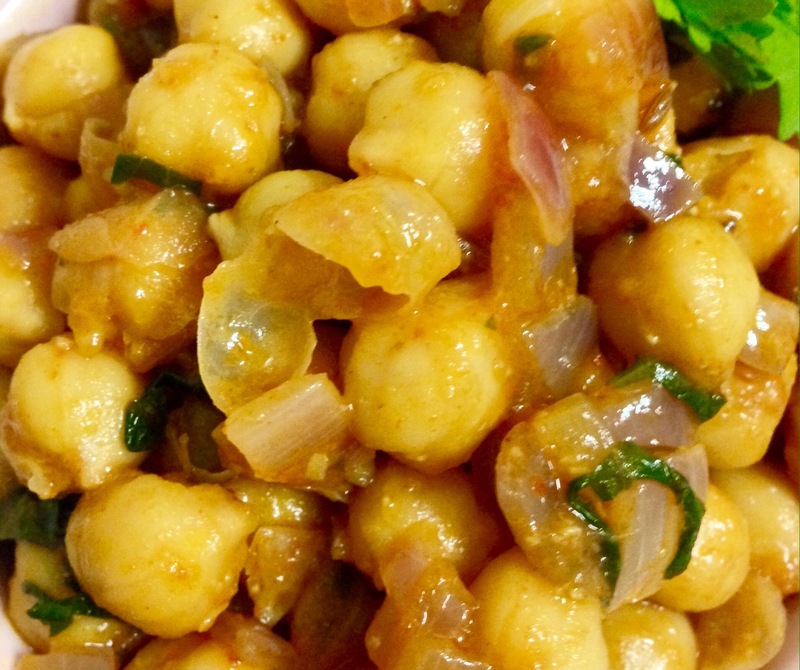 Let it cool until all the masala and sauce coats the chickpeas. Add salt and squeeze half a lemon and mix well. Sprinkle chopped coriander leave and stir.